Brest, with about 200,000 inhabitants, is located on the western tip of Brittany, on one of the world’s most beautiful natural bays. 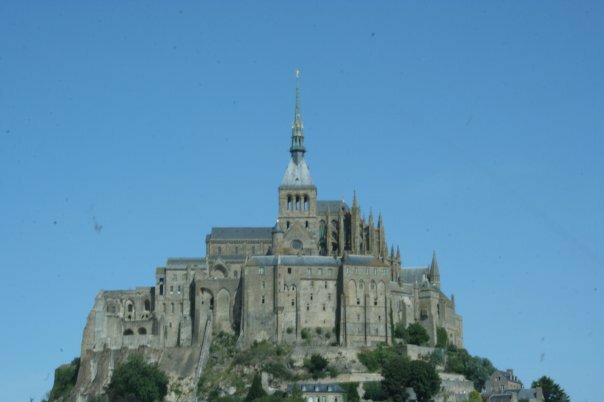 Brest welcomes you to the province of Brittany, a land of Celtic origins and wonderful scenery. The clean environment, the mild climate year-round, and the pure sea air combine to make life more pleasant than in other urban areas. Brittany has a wide range of sports activities. 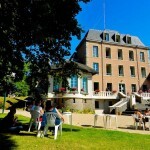 A perfect location to learn French in a full immersion program. The Centre International d’Etudes des Langues (CIEL Brest) French language school was founded in Brest by the Chamber of Commerce and Industry together with the University of Western Brittany. 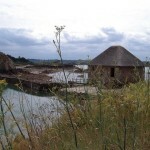 It offers French Courses in Brest for adults year round. It is located on the seaside in a former manor house, surrounded by a large park overlooking the sea and the bay. Additional facilities have been added in the same style as the original building which was entirely renovated. The premises now include a French language lab, a multimedia room, cafeteria and a comfortable student lounge. The qualified French teaching staff makes full use of their state-of-the-art audio visual equipment to help bring day to day French to life. Role play, simulations, discussions and presentations are used in conjunction with oral and written comprehension exercises, grammar and vocabulary enrichment sessions to provide a full program geared towards effective French language learning. All Courses: Minimum Enrollment age: 16 years of age (signed parental authorization form required for students under 18). Group lessons are 60 minutes long. Intensive French Courses include materials. INTENSIVE French Course Group 12 — Maximum of 12 students per class, 20 French lessons per week, all levels from Beginner to Advanced. Note: During the summer (2 July – 31 August 2018) a 3 hour per week Oral Communication workshop may be added to the Intensive French Courses for USD 65.00 per week. The workshop takes place for one hour each day during the afternoon on Tuesdays, Thursdays and Fridays. All prices include school enrollment fees. 2019 Starting dates: Starting dates for complete beginners: 7 January, 4 March, 6 May, 1 July, 29 July, 30 September, 14 October. All other levels may start any MONDAY. Holidays 2019: 1 January, 22 April, 1 May, 8 May, 30 May, 10 June, 15 August, 1 November, 11 November, 25 December. No classes are held on National holidays. Classes missed are made up during the rest of the week with the exception of 15 August.. 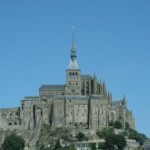 Private French Courses (One-to-One lessons): Minimum of 10 lessons per week. Private lessons are 60 minutes long. Price: USD 82 per lesson plus an additional USD 94 materials fee per course. Starting dates: Any Monday. French Teacher Training Course: Refresher course for Teacher’s of French as a foreign language. 25 lessons per week. Available from 1 to 3 weeks. Starting dates 2019: 8 July (1 to 3 weeks), 15 July (1 to 2 weeks), 21 July (1 week only). Prices 2019: 1 week Course: USD 553.00, 2 weeks: USD $1,043.00, 3 weeks: USD $1,533.00. 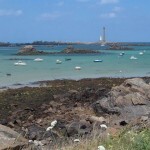 French Course plus Breton Culture and Cuisine Discovery: 1 week Intensive French course plus a daily activity program to allow the students to experience the cuisine and culture of Brittany. 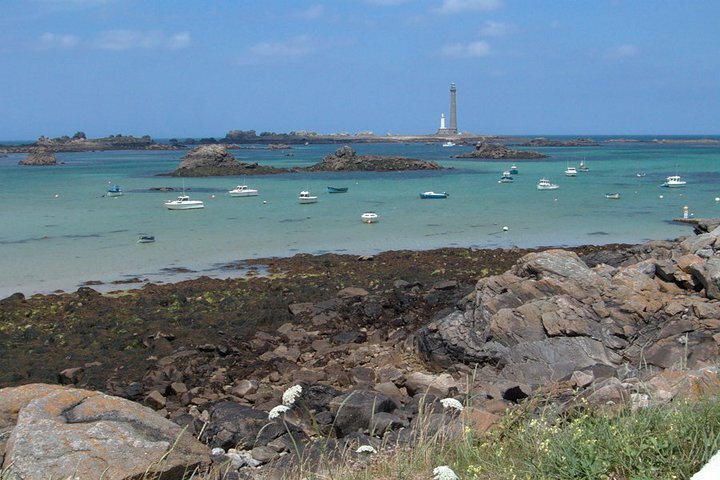 Activities include: visit to a local “Creperie” to learn the secrets of crepe making, hands-on cooking workshop followed by dinner, visit to a Renaissance castle stopping to taste local specialties along the way, dinner at a local seafood restaurant, visit to the city of Quimper, full day excursion to Ouessant Island (Saturday). Prices 2019: 1 week Course: USD 1,133.00. Price includes: Intensive French Course (20 lessons), all visits and activities described and a 1 week transportation pass. CIEL Brest works in close collaboration with the University of Western Brittany. 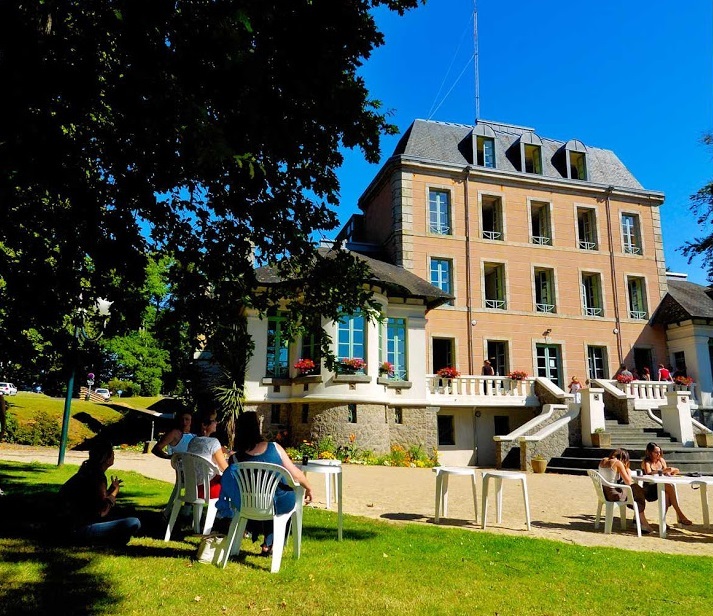 Students who successfully complete courses will receive a certificate from CIEL Brest, countersigned by the University of Western Brittany, attesting to the level, nature and duration of the course. This will provide official recognition by the University of Western Brittany that the student has satisfactorily completed a program at CIEL Brest. All instructors are carefully selected university graduates. It should be possible to obtain credit or certification from your home school or accrediting board or institution. However, you should make sure that your school will give credit before you enroll, as every school, board, institution, state, etc., has its own rules and regulations. It is the student’s responsibility to make these arrangements; C.I.E.L.-Brest will provide whatever documentation (transcript of grades, evaluation of student’s performance, attendance record, copies of exams, etc.) that may be required. Host Family: Single room with half board during weekdays (2 meals per day) and full board on weekends (3 meals per day), includes airport/train station pick-up on arrival. Price 2019: USD 273 per week. Hotels and Youth Hostels available upon request. With one of the most beautiful natural harbors in the world at your feet, the countryside and well-kept parks at your doorstep, and a diverse coastline, it is hard to resist the temptations of nature and the many sports programs available in the area. These include sailing, water sports, golf, horseback riding, team sports and tennis. Swimming, sailing, yachting and scuba diving are readily available. CIEL Brest works in close collaboration with a large number of various sports clubs with highly qualified instructors. Sports are near at hand, including tennis (Tennis Club de Brest), horseback riding (Club Hippique de Brest), sailing (Centre Nautique du Moulin Blanc) and golf (Golf de Lann Rohou). It is also wonderful for biking, hiking and canoeing. 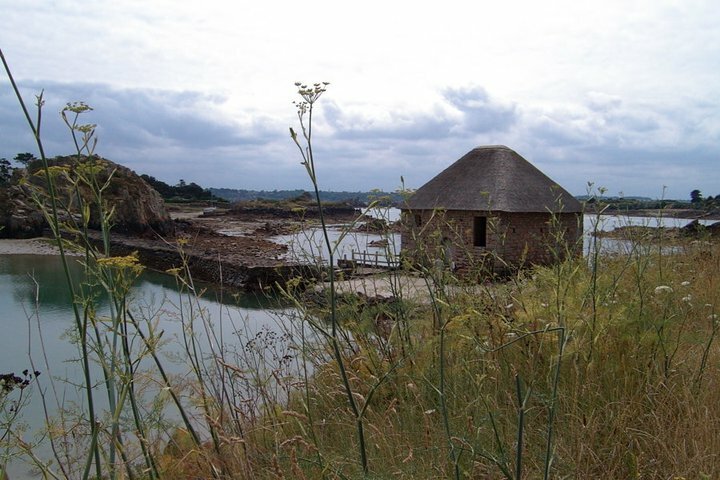 Brittany is known for its excellent restaurants and the extremely varied choice of seafood.